THE EUROPEAN SPORT FANS Head office: Maliebaan 38-40, 3581CR, Utrecht, The Netherlands. From. Ms. Binita Thorn. Lottery Coordinator. CONGRATULATIONS!!!! 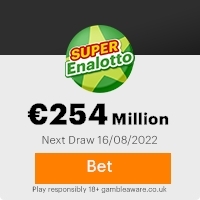 We are pleased to inform you of the result of the Anual European sports fans lotto promotions held on the 24th of April 2006. Your e-mail address attached to ticket NO: 34003109816 with prize NO: 90708710/11 drew 1,000,000.00 Million euro which was first in the 1st Category of the draws. You have been approved to receive 1,000,000.00 (One Million Euros) as your winning prize.Because of claims mix-up and the limited time claims pay-outs, we will advice that you keep your winning information confidential until your prize (1,000,000.00)euros has been remitted to you by our accredited paying bank. You must adhere to this instructions strictly to avoid loss of your cash prize,as a result of this program been abused severally, so we are doing all we can to forestall further abuse by way of wrong claims. It's important to note that this draws were conducted formally under the watchful eyes of over 65,000 Thousand audiences. Winners were selected through an internet email ballot system from 280,000 personal and corporate e-mail addresses. The program sponsored/supported by Continental Tyres. Congratulation to you once again. We hope you will use part cash prize to participate in our next mega draws of 85million Euros. Remember, all winning must be claimed not later than 10 working-days after you receive this notification. Failure to claim your cash prize after this date will result in prize forfeiture.This are measures laid down to avoid prize claim mix-up. Please, in order to avoid unnecessary delays and complications remember to quote personal and winning numbers in correspondence with paying bank for verifications and remitance of your Winnings. Please contact the paying bank with your information for the immediate remittance of your funds. Kindly send them the following: (i). your names, (ii) Contact telephone and fax numbers (iii) Contact Address (iv) Your winning numbers (v) Quote amount won. Contact the paying bank with the following: Bank Name: Deutsche Bank NV. Contact person: Mr Alex Clement E-mail:services12ab@netscape.net Tel: (+31-644-853-140) Fax: (+31-847-235-420) Please be free to call your claiming bank immediately to proceed with the collection of your winnings. Congratulations once again. Yours in service, Ms. Binita Thorn. International Lottery Coordinator. This Email with the Subject "TICKET: 34003109816" was received in one of Scamdex's honeypot email accounts on Tue, 25 Apr 2006 21:44:03 -0700 and has been classified as a Generic Scam Email. The sender shows as <binita_thorn01@yahoo.se>, although that address was probably spoofed. We recommend that you do not attempt to contact any persons or organizations referenced in this email, as you may expose yourself to scammers and, at the very least, you will be added to their email address lists for spam purposes.